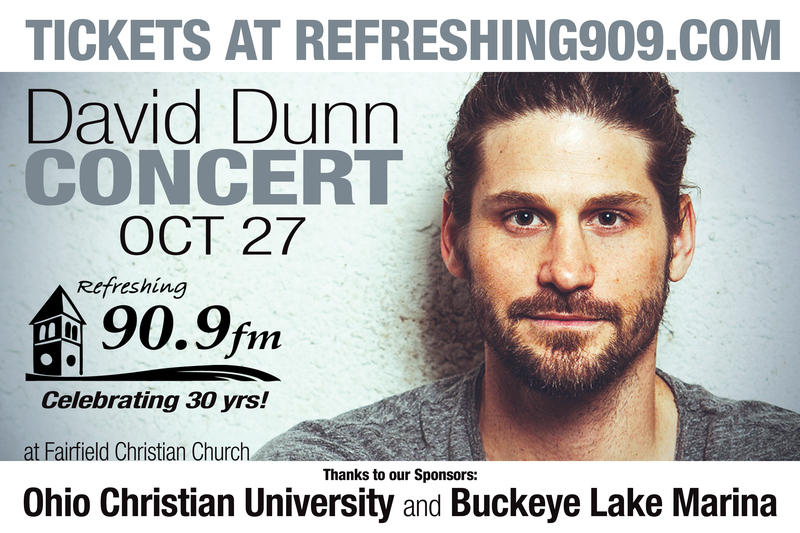 Christian music artist and former contestant of The Voice, David Dunn, is coming to Fairfield County! Join David in concert on Saturday, October 27th at Fairfield Christian Church. Doors open at 6pm. Concert begins at 7pm.